This weekend, St Petersburg, Florida’s new Imagine Museum opened, and artists Tim Tate, along with artists Rik Allen and Christina Bothwell received “Artists of the Future” awards. The museum awards were selected for artworks that had narrative content dealing with spirituality. Like our Professor Tate – we are all tickled pink!! 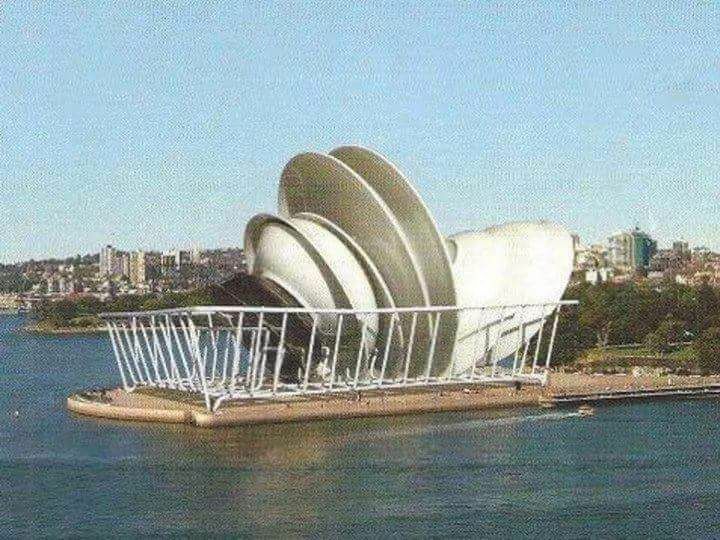 Wishing all our Aussie mates a Happy Australia Day!! 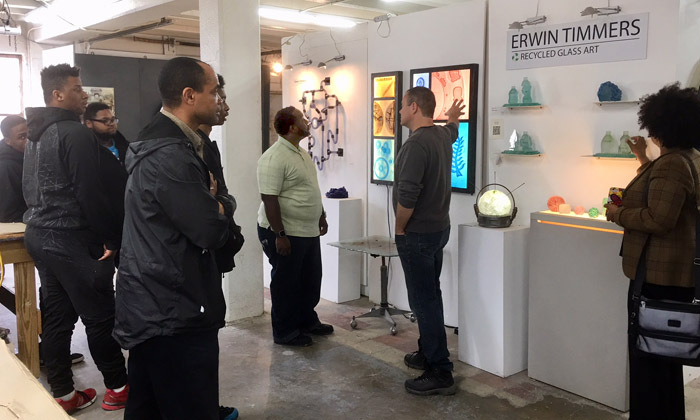 This week and next, students from the Pathways Schools will be at the Washington Glass School being exposed to glass and the business of art, enabling the students to experience and appreciate firsthand the intricacies and discipline required for the creation of art and design. Artist Patricia De Poel Wilberg talks about her process of reverse painted glass to the students from Pathways Schools’ Caribbean Returning Nationals – Students For Student Initiative (CRN-CSFSI). CRN-SFSI designed the “Community Experience” for The Pathways Schools. 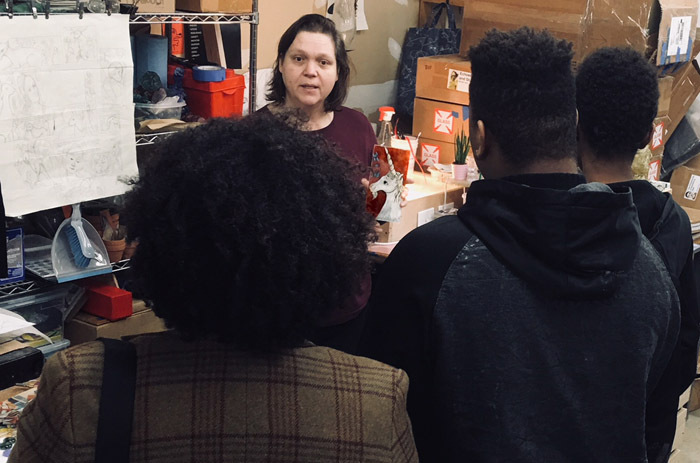 Approximately 10 students visit select businesses in Prince George’s County to learn and shadow their workers as their curiosity is aroused through discovery. The students ages range from 15 to 19 years. WGS Director Erwin Timmers outlines how sustainable design can work in the creation of fine art sculpture. Arlene Graham is the Founder and Executive Director of Caribbean Returning Nationals Foundation (CRN), Students for Students Initiative (SFSI) a non-profit headquartered in Maryland. CRN SFSI empowers students and young professionals from all cultures to be global innovators. CRN SFSI understands today’s youth needs support and access to opportunities to compete on the global stage. Through their Out-Of-The-Box Approach to career development, CRN SFSI offers various programs designed specifically to address the young person’s interests and skills. The Pathways Schools operate five therapeutic educational programs in Maryland’s Anne Arundel, Montgomery and Prince George’s counties for students aged 11 through 21 who have emotional and behavioral disabilities. Each school provides a unique, comprehensive, success-oriented alternative day program in a small family-oriented setting of not more than 40 students. Their goal is to enable students with emotional or behavioral disabilities to take responsibility for their lives and to become independent contributing members of our communities and society. Wendell Castle, a visionary woodworker, furniture-maker and sculptor has died at the age of 85. Mr. Castle died late Saturday afternoon at his estate in upstate New York, according to an announcement by Rochester Institute of Technology, where he was an artist in residence. Mr. Castle suffered from leukemia and had been in and out of the hospital over the last two months. In more than a half-century of work, Mr. Castle melded furniture with art, creating provocative tables, chairs, clocks and other objects that bemused, surprised and baffled those who saw them. He placed form above function, and frequently shifted styles and genres. Wendell Castle, Ghost Clock, 1985, bleached Honduras mahogany, Smithsonian American Art Museum. 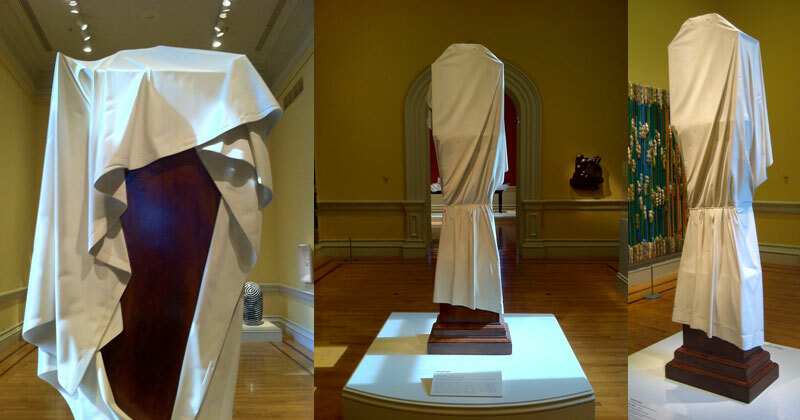 His best known work at the Smithsonian Renwick Gallery – which looks like a white sheet was draped over a grandfather clock – is a masterpiece of illusion. The museum’s artwork description includes the following text: At first glance, Ghost Clock appears to be a grandfather clock hidden by a large white sheet tied with a rope. A close look, however, reveals a masterful deception: this entire sculpture was hand-carved from a single block of laminated mahogany. With meticulous detail, Castle re-created in wood the contours of soft, supple cloth, then completed the illusion by bleaching the “drapery” white and staining the base of the “clock” a walnut brown. This work is the last in a series of thirteen clocks the artist created in the 1980s; unlike the others, it lacks an inner mechanism. Its haunting stillness and silence suggest eternity—the absence of time. Mr. Castle’s work — in media like wood, but also plastic, concrete, bronze — is exhibited in galleries and displayed in museums worldwide. 4. We see and apprehend what we already know. 6. Never state a problem to yourself in the terms it was brought to you. 7. If it’s offbeat or surprising then it’s probably useful. 10. If you hit the bullseye everytime, then the target is probably too near. 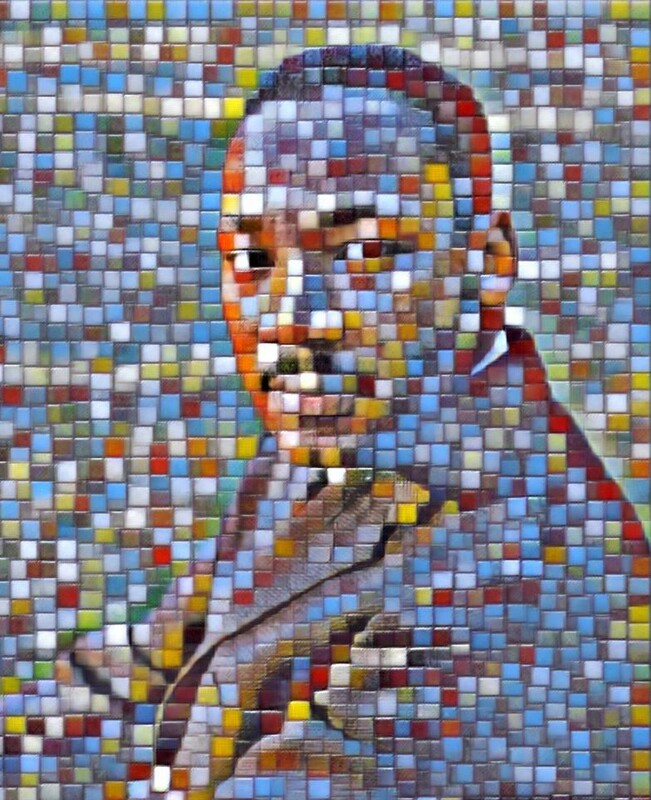 We pause to reflect on the meaning of Martin Luther King Jr Day. MLK day is one that celebrates the iconic leader and the legacy of a man who brought hope and healing to America. We commemorate Dr. King’s inspiring words, because his voice and his vision filled a great void in our nation, and answered our collective longing to become a country that truly lived by its noblest principles. 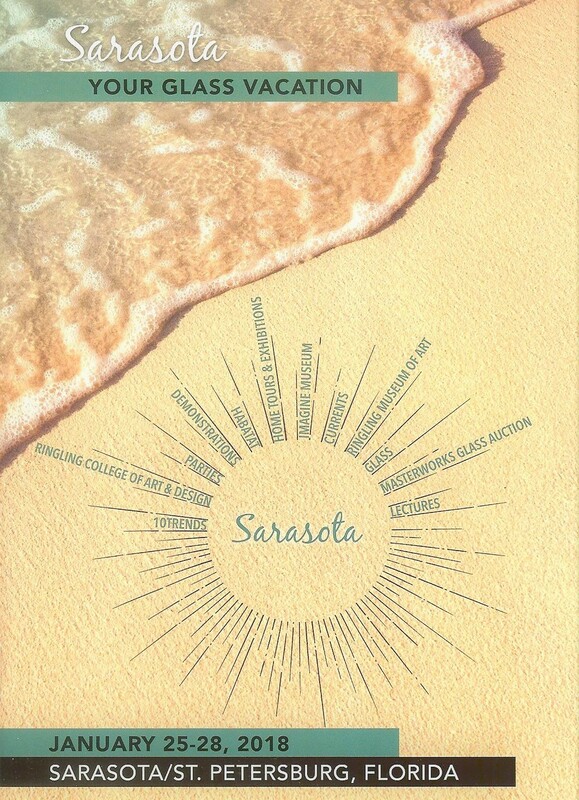 Florida Glass Vacation?! I Need It Bad!! Starting January 25th and continuing through the 28th, 2018, Michigan’s Habatat Galleries aims at providing a spectacular glass experience. 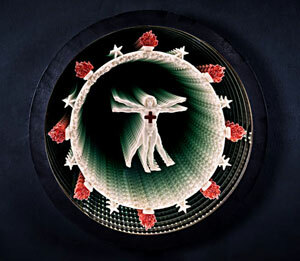 Alex Bernstein’s Dolomite Series will be part of the “Currents” Exhibition. During the week on the West Coast of Florida is the much-anticipated grand opening of the Kotler-Coville Pavillion located at the entrance of the prestigious Ringling Museum of Art. This new space was created to present Studio Glass gifted from these great collections and selected glass works from the museum’s collection. Habatat Galleries will also present two important exhibitions: “Trends” – an eye-opening presentation that speculates on the future of glass as an expression for artists and “Currents” – which presents new sculptures of 30 of the most sought-after International artists working today. 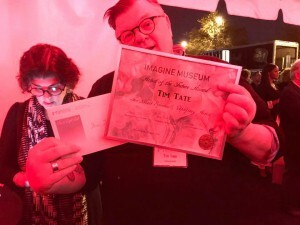 Also, during the week is the grand opening of the new Imagine Museum, whose collection features rare glimpses into the 55-year history of Studio Glass in America. 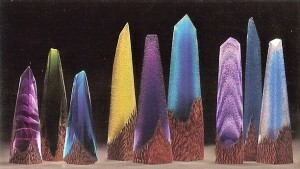 Habatat’s list of events include visits to the Duncan McClellan Gallery, collector homes, a visit to the Chihuly Museum and talks by a number of the glass artists being exhibited. For more info – click HERE to jump to Habatat Galleries’ page. 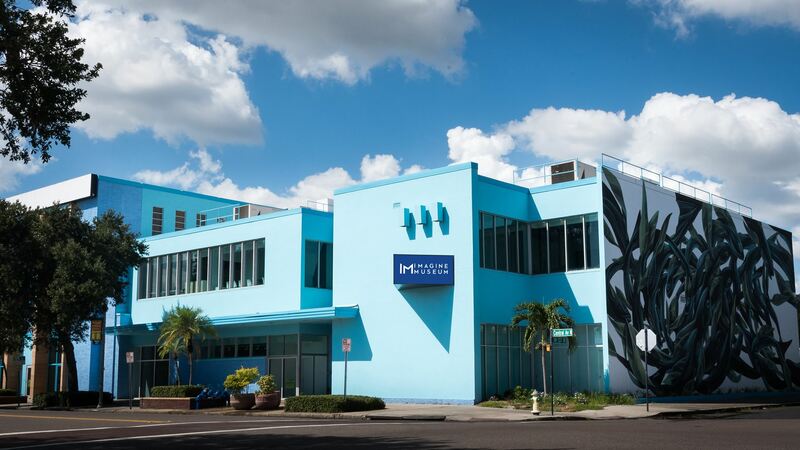 New Glass Museum opens in Sunny St. Pete! Imagine Museum’s grand opening ribbon cutting will be on Tuesday, January 23rd @ 10:30 a.m. 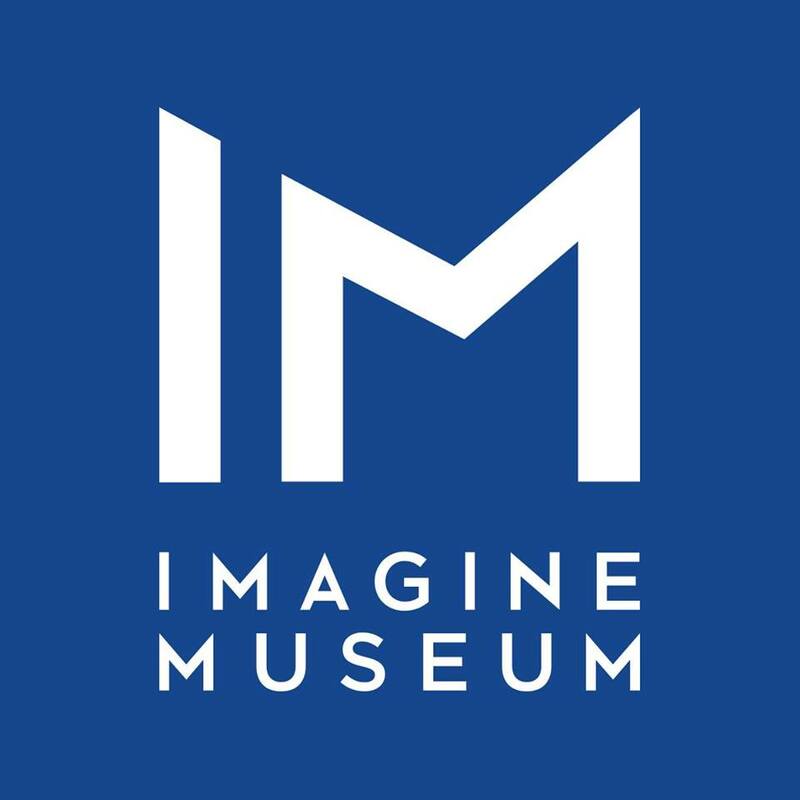 The brand-new Imagine Museum opens January 23, 2018 in Saint Petersburg, Florida, near the Morean Arts Center, which has a permanent collection of Dale Chihuly’s glass artwork. The vision for the museum comes via its benefactor, Trish Duggan, a glass collector and artist in her own right. Duggan wanted to create a space with both aesthetic and civic significance, a cultural institution dedicated to her medium of choice: glass. The new museum’s primary collection will focus on the explosive growth and diversification of the studio glass movement in America since the 1960’s, and extends to new directions in contemporary glass. WGS Co-Director Tim Tate’s artwork will be part of INTO ACTION, a large-scale pop-up art exhibition, cultural gathering and community organizing action event in Los Angeles featuring hundreds of inspiring works of art. Tim Tate’s work:”We Rose Up” was curated into the LA event. An expansive week long pop-up art exhibition, INTO ACTION promises to feature a series of large format creative installations, music performances, panel discussions and activist workshops designed to inspire hope, galvanize community and ignite creative engagement. The Jurors selected works based on the following themes: Justice Is A Human Right; Together We Rise; No Human Is Illegal And No Human Should Feel Unsafe; This Moment – In History; Manifesting Solutions; Love, Peace And Empathy. 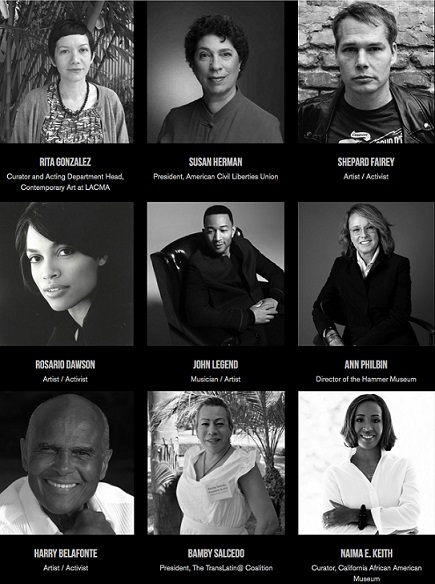 Jurors such as Rita Gonzalez, Contemporary Art at LACMA; Rosario Dawson, Artist / Activist; Harry Belafonte, Artist / Activist; Naima E. Keith, Curator, California African American Museum and others have curated work around the following themes: Justice Is A Human Right; Together We Rise; No Human Is Illegal And No Human Should Feel Unsafe; This Moment – In History; Manifesting Solutions; Love, Peace and Empathy. INTO ACTION is free and open to the public.